This node modifies the terrain profile by changing the height of each input vertex vertices on a curve that define the terrain heights. 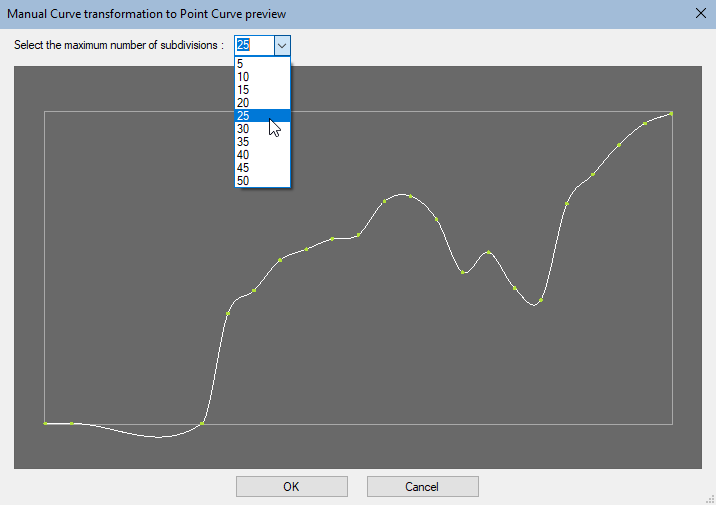 To add an Apply curve node, right click in the Graph Editor and select Create Node > Terrain Transformation > Apply curve. 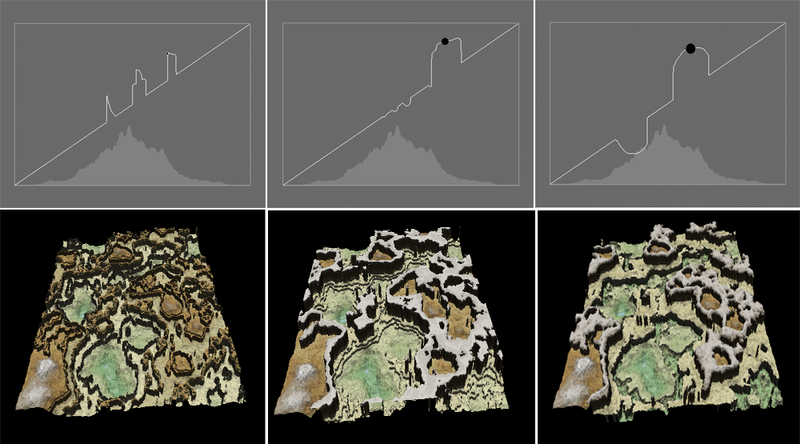 Using the smallest cursor makes detailed changes to the heights; using a larger cursor makes changes to larger areas in the terrain. Click and drag the mouse to change the terrain heights. 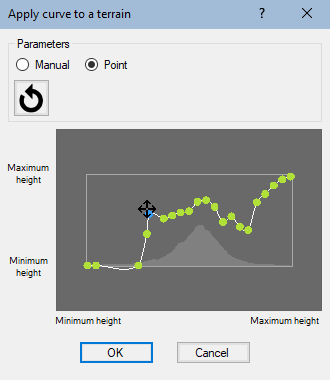 When you move the mouse over the terrain, the height under the mouse is shown as green points on the curve. Green point in the curve represents the position of the mouse in the terrain. 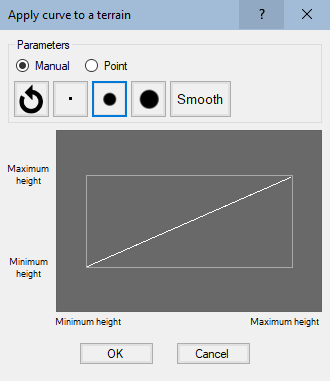 Click on the Smooth button to smooth the heights of a curve. You can click several times to smooth more. 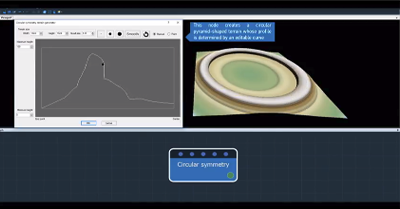 Once you have edited your curve, you can switch from the Manual mode to the Point mode (like a Bezier curve) to add control points. The control points are displayed in increasing subdivisions of five, from 5 to 50 points. A higher number of control points gives you more control over the changes you make to the curve.